Air New Zealand is proud to be New Zealand’s national carrier and deliver unique Kiwi journeys to over 14 million customers flying to, from and all around New Zealand every year. Air New Zealand was named AirlineRatings.com Airline of the Year for the third consecutive year in 2016. The airline continues to operate one of the world’s youngest fleets, connecting New Zealanders to more than 20 domestic and 30 international destinations including Asia, Europe, Australia, North and South America, and the Pacific Islands. As a member of the Star Alliance network, Air New Zealand is able to provide access to almost any destination in the world. 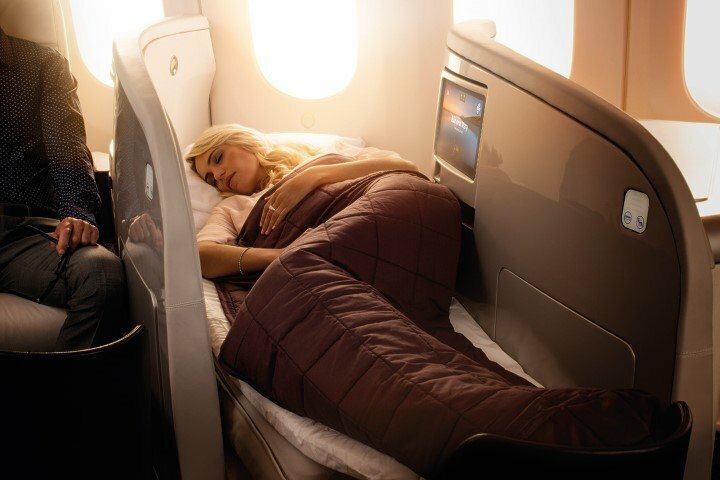 Internationally, Air New Zealand’s fleet of 777s, 787-9s and 767-3s, offer a range of innovative products so customers can choose how they fly. On its Tasman and Island services, Air New Zealand offers seats to suit for added choice. 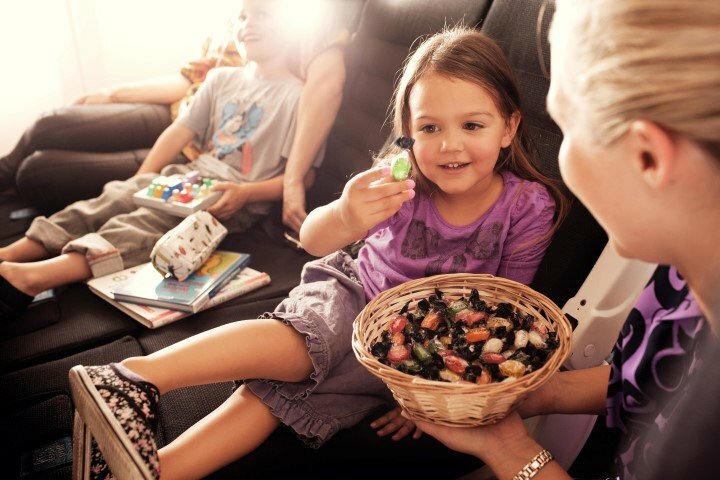 Air New Zealand's 'Seats to Suit' allow you to pick and choose what extras you want during your flight. Extras include luggage allowance, movies and meal. Seats to Suit services operate on all Australia, Pacific Islands, Hawai'i and Bali flights. Seat: seat, one piece of cabin luggage at up to 7kgs, TV shows, music, games, and tea, coffee & water. Seat+Bag: Enjoy all the Seat inclusions above, plus one piece of checked luggage up to 23 kilograms. The Works: Enjoy all the Seat+Bag inclusions above, plus movies, a full meal, drinks (including alcohol) and seat selection. If travelling to Hawaii your luggage allowance is 2 x 23kg checked bags. Works Deluxe: Enjoy The Works inclusions above, plus receive priority boarding, priority check in, priority luggage and a guaranteed free seat next to you for more personal space. In addition to the above Premium Economy and Business Premier™ are available on all wide bodied aircraft operating on selected markets. Economy: All meals and drinks (including alcohol) are included on long-haul international flights. Economy SkyCouch: The Economy SkyCouch is a row of three economy seats that have foot rests which fold up to create a fully flat surface. The area is large enough for two adults to sleep in a cuddle position, and is a good play area for young kids. Available on 777 and 787 aircraft only on longhaul flights and selected shorthaul destinations. Business Premier™: Receive the benefits of Premium Economy, plus an extra checked bag and an extra carry-on bag (so three of each), airport lounge access, and a seat that converts into a lie flat bed. Lie flat bed not available on 767 aircraft. Air New Zealand proudly serves 22 domestic destinations around New Zealand. When booking a domestic flight enjoy the flexibility, affordability, choice and a simple solution in the form of our domestic seats. Whether it be two months or two days ahead of travel there’ll always be an option to suit your needs. seat: is perfect for those who like travelling light or heading off on short trips. You'll get a standard seat, a carry on bag of up to 7kgs, free snack, tea or coffee and Airpoints Dollars™ and Status Points on every flight^. seat+bag: is designed for longer trips or visits where you may need to take a little more than carry on, but don't want to pay for anything you don't need. With seat+bag you will get one piece of checked luggage (up to 23kgs), a standard seat, free snack, tea or coffee and Airpoints Dollars™ and Status Points on every flight^. flexitime: includes the flexibility of being able to change your flight to an earlier or later flight that same day of travel when available*. Included is a standard seat, free standard seat select, one piece of checked luggage, free snack, tea or coffee and a higher Airpoints Dollars™ and Status Points earn rate^. flexiplus: is our most flexible fare and is fully refundable. It lets you change your flight day, time, destination or origin. There's no fee for changes made online before the flight departs (though a fare difference may apply). You'll also get a standard seat, free standard seat select, two pieces of checked luggage (up to 23kgs each), free snack, tea or coffee and a higher Airpoints Dollars™ and Status Points earn rate^. All A320 flights between Auckland, Wellington, Christchurch, Dunedin and Queenstown are Koru Hour flights every weekday before 8am and 4:35pm - 7:05pm. Start the day with a tea or coffee and a muffin or cookie. On the early evening flights between 4:35pm - 7:05pm, New Zealand wines, premium New Zealand beers and L&P are added to your beverage choices, served with cheese and crackers or a savoury snack. Koru Hour is not available on flights under 50 minutes, public Holidays or weekends. The airline’s investment in new aircraft has enabled Air New Zealand to grow its international network and open up new destinations directly from New Zealand to Kiwi travellers. In December 2015, Air New Zealand commenced flights to Houston – the perfect gateway into the heart of the American South – and Buenos Aires – the largest city of Argentina. In 2016, for the first time, Air New Zealand is offering a direct seasonal service (June to October) from Auckland to Ho Chi Minh City in Vietnam. Air New Zealand’s alliance partners help to take Kiwis to even more international destinations. From July 2016, Air New Zealand is excited to be in a revenue sharing alliance with United Airlines. This partnership will provide our passengers with much improved access to a wide variety of domestic American locations through United’s extensive network. Air New Zealand also has Strategic Alliance Agreements with Singapore Airlines on flights between Auckland and Singapore, Cathay Pacific on flights between Auckland and Hong Kong Air China on flights between Auckland and Shanghai and Beijing and with Virgin Australia on flights between New Zealand and Australia. Wherever it is in the world you want to go, Air New Zealand can get you there.